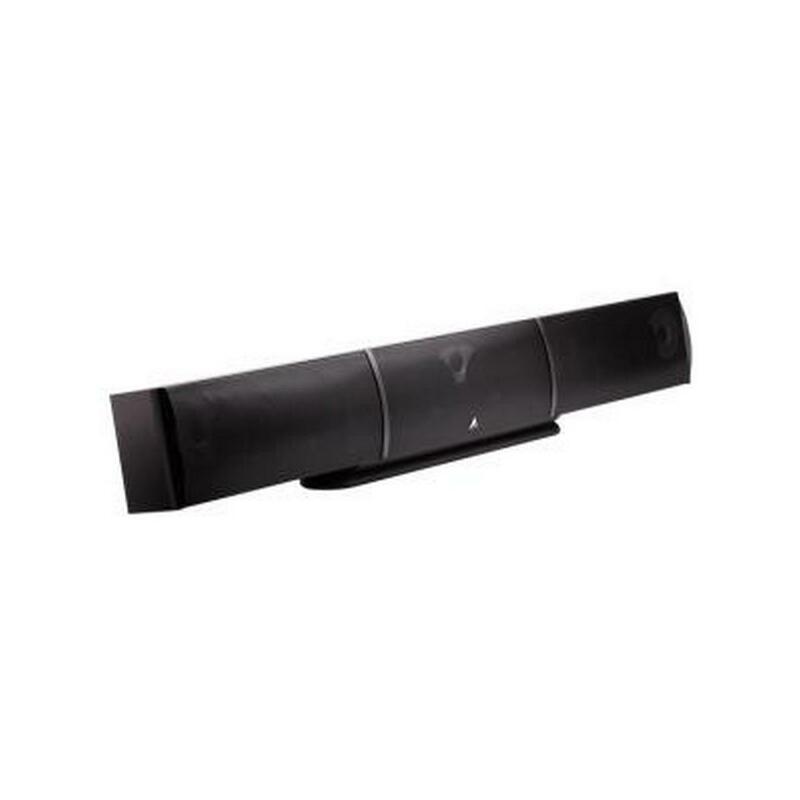 Atlantic Technologies Front Stage Loudspeaker- Gloss Black Finish - 50"
“The FS-5000 is an absolute juggernaut in comparison to other soundbars.....a monumental achievement.” — Andrew Robinson, Home Theater Review.com. Great sound is an integral, essential component to the theater experience at home. The downside for most people comes from having to mount and wire speakers all over their room. It’s inconvenient, confusing, and unsightly. 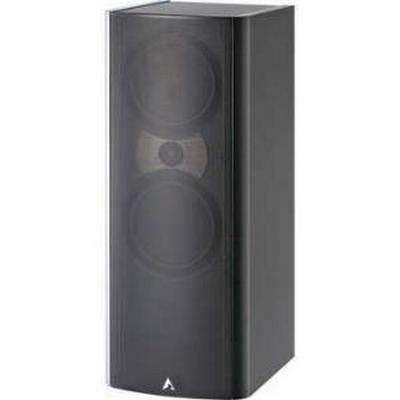 Enter Atlantic’s innovative FS-5000 Front Stage Loudspeaker. 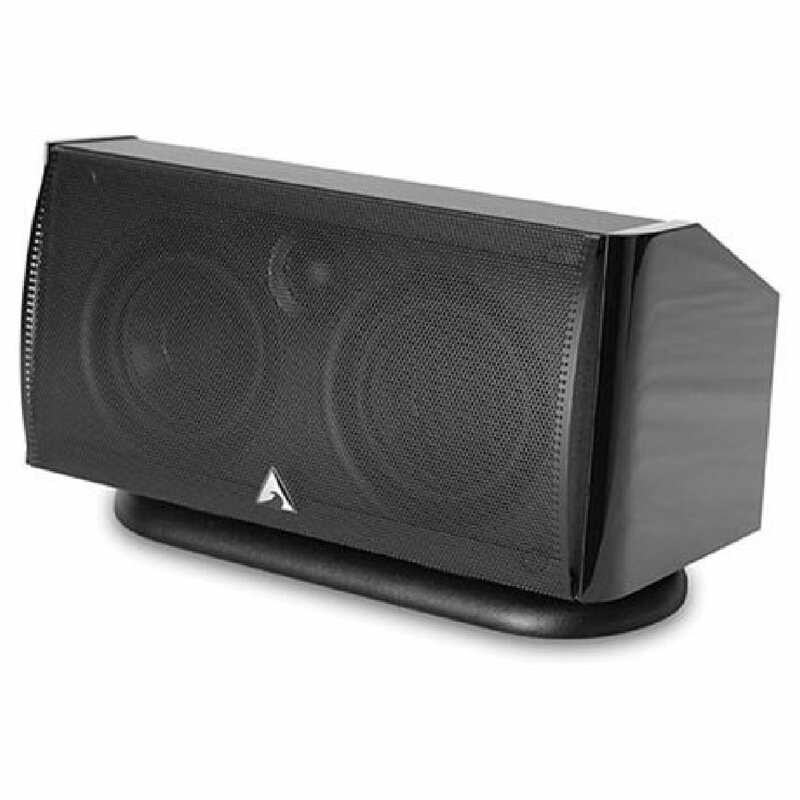 Based upon our acclaimed FS-4000, this sleek, 50”-long unit contains three extremely powerful, front speakers—left, center, and right—in a single enclosure. 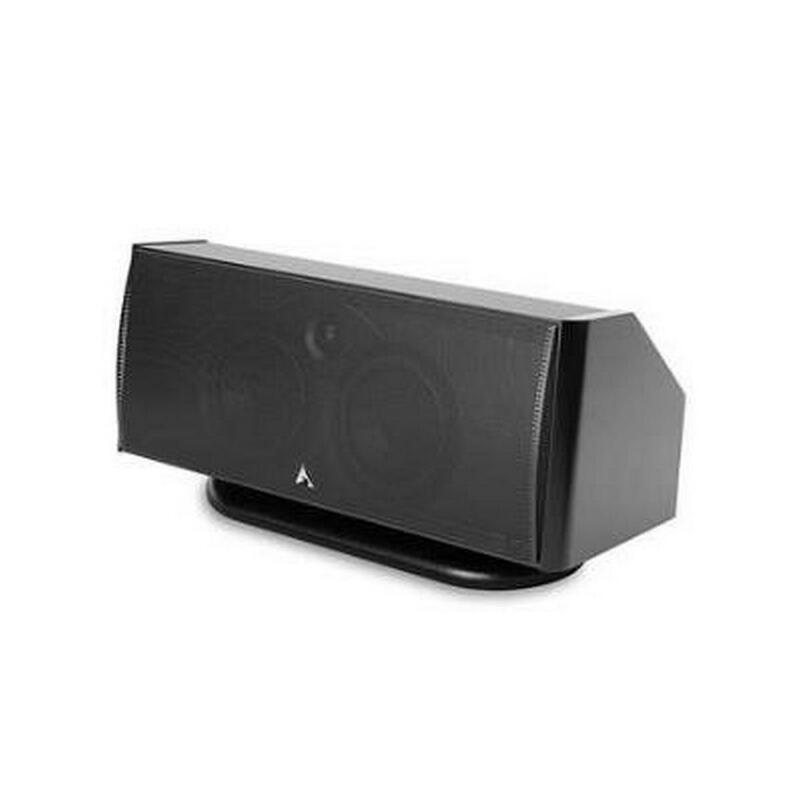 It’s perfect for the person who has a large flat-screen TV in a very big room, and simply wants an attractive, one-piece speaker solution without all the visual clutter of separate left, center, and right speakers. 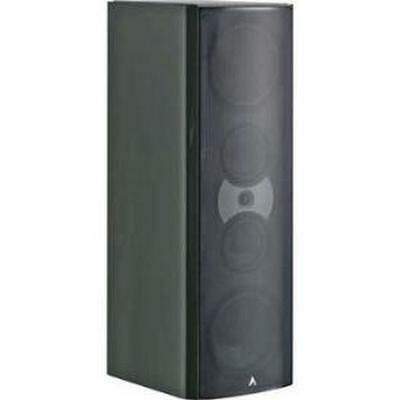 The cabinet is internally separated into three chambers, each with a 1” soft dome tweeter and two 4½” magnetically-shielded woofers. 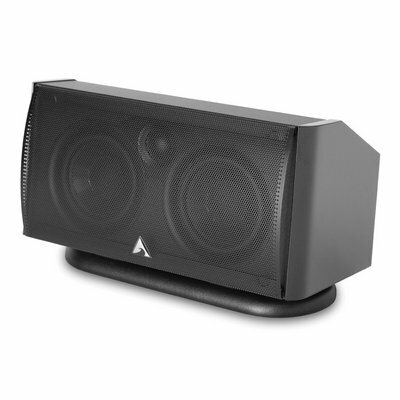 Bass response extends down to 70Hz, for full-bodied sound even without a subwoofer. 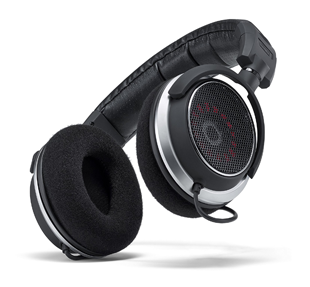 Delivers crisp high-frequency sound. 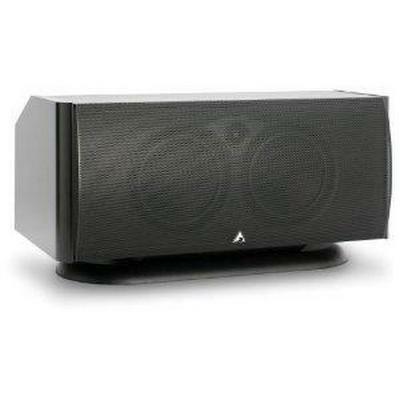 Two 4-1/2" GLH (graphite-loaded homopolymer) woofers and two 4-1/2" pressure drivers offer clear audio and powerful bass. 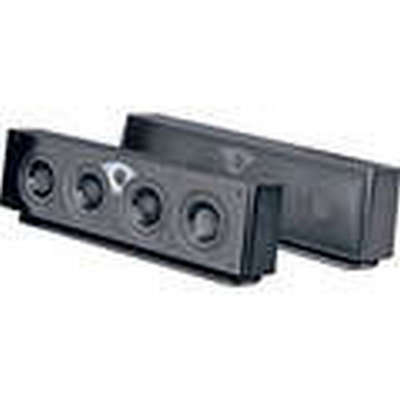 Allows you to position the speaker with optimal tweeter orientation to accommodate the alignment of your center-channel speaker (not included). Include a 3-position HF energy switch and a 2-position boundary-compensation switch, so you can easily adjust the speakers to suit versatile room acoustics and placement. 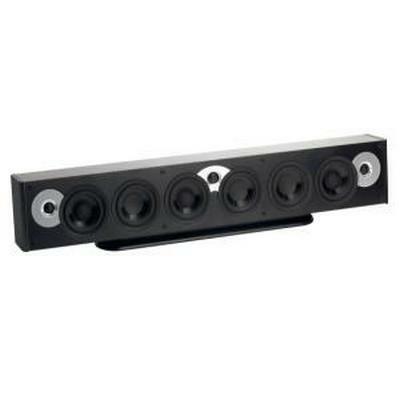 Lets you easily mount the speakers on a wall. 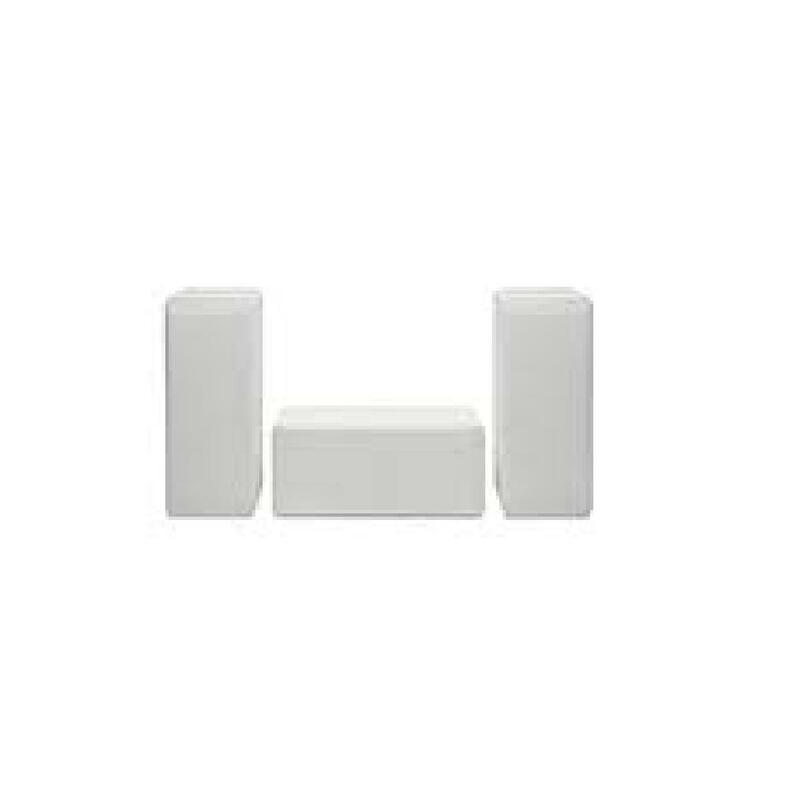 Optional floor stand (not included) supports freestanding use. Provide durability and a stylish look. 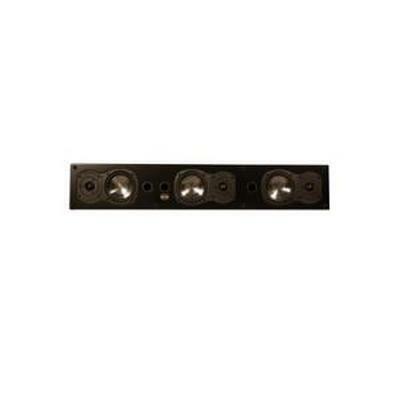 Designed to complement most flat-panel TVs to enhance your home theater setup. 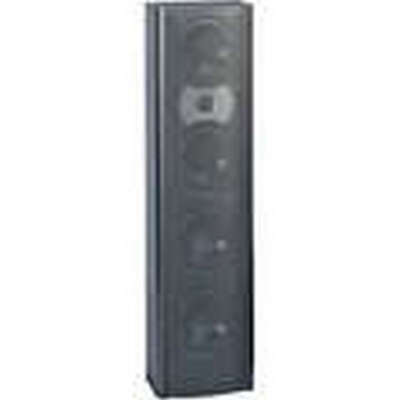 Like the System 4200e, our System 4400 represents the culmination of our efforts to develop the world's finest moderately-priced home theater speaker system. Compact, elegant, but extremely powerful, the 4400 features high-performance drivers and acoustic optimization controls, for perfect integration in a typical living room or den. 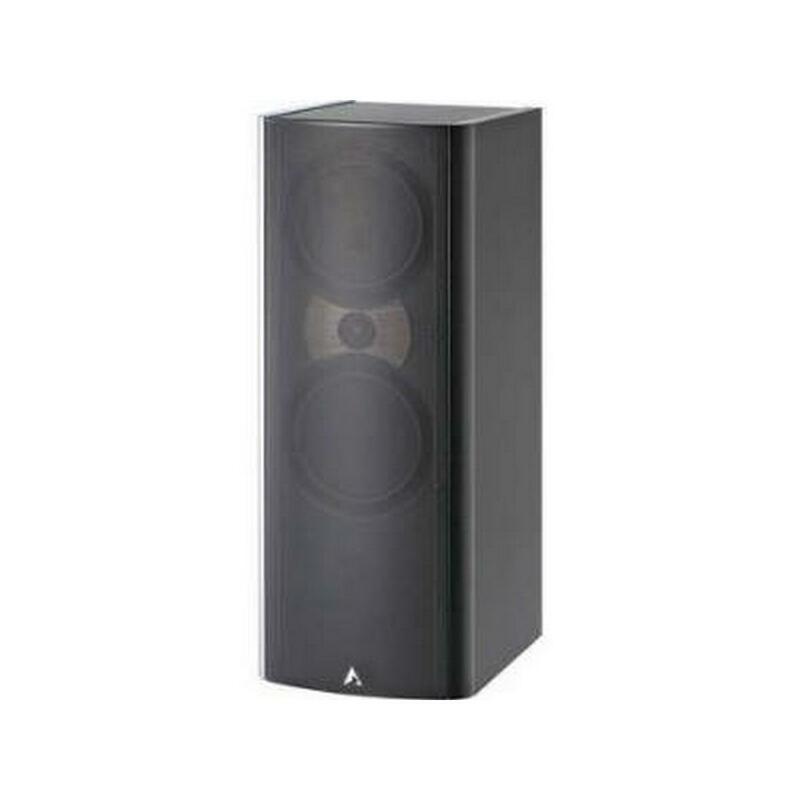 Atlantic Technology has created an orchestra of speakers that will create the perfect listening climate in your home—at a great price. 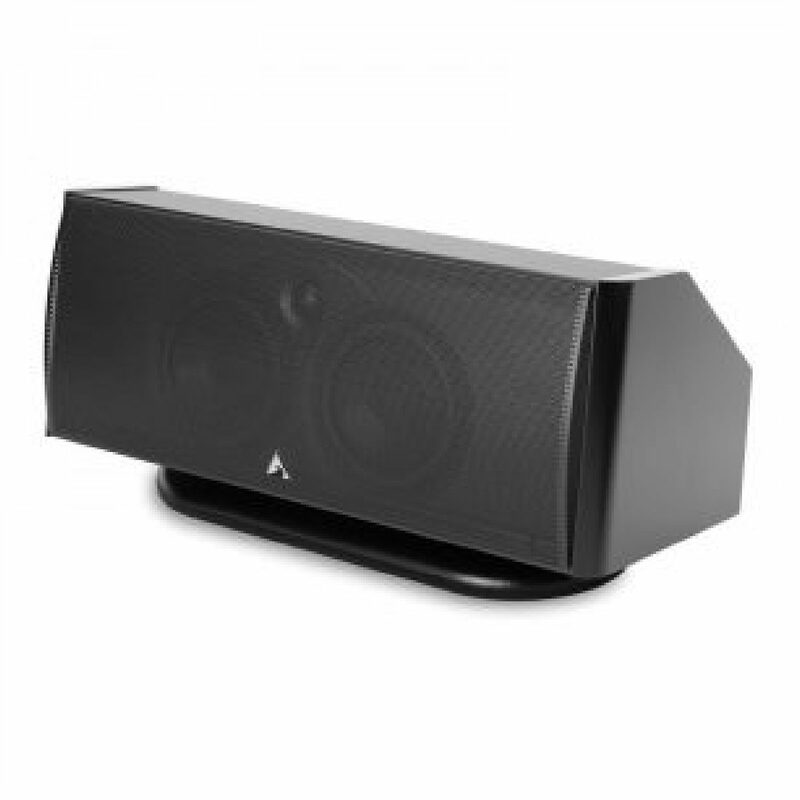 Although many companies offer systems with speakers that look alike, after a quick listen you will realize the speakers don’t sound alike. To create a realistic entertainment experience, your sound system needs to work in harmony. 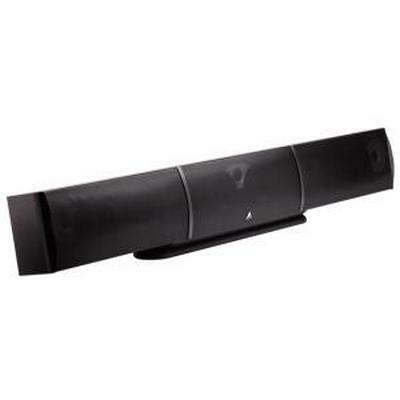 Atlantic Technology has mastered the art of harmonizing surround sound systems. 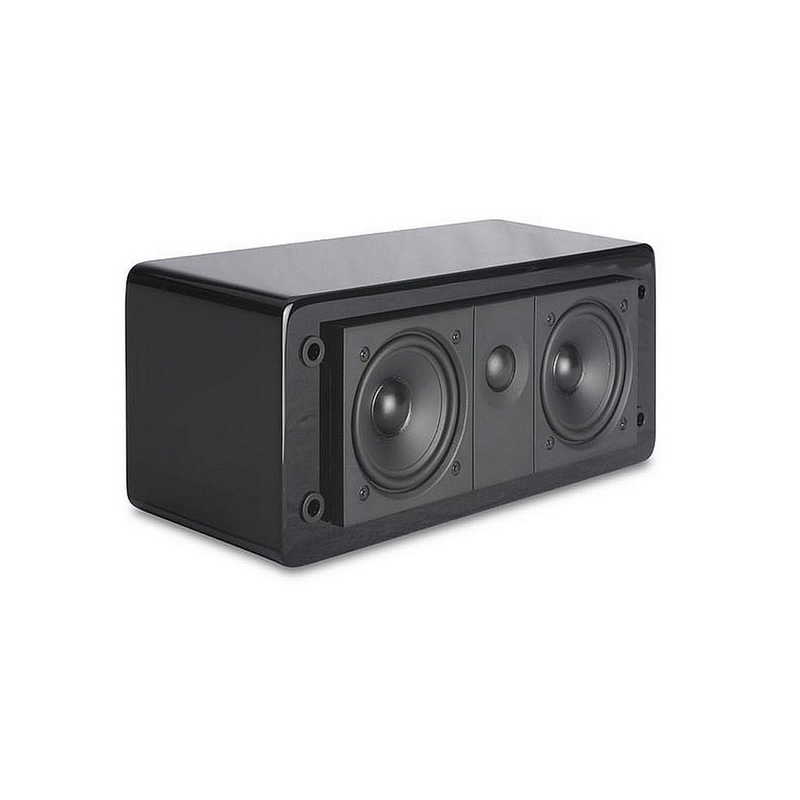 The 2400 C center channel uses the same driver components as the matching 3400 and 1400 LR speakers; therefore you can customize your Atlantic Technology speakers to suit your specific needs. 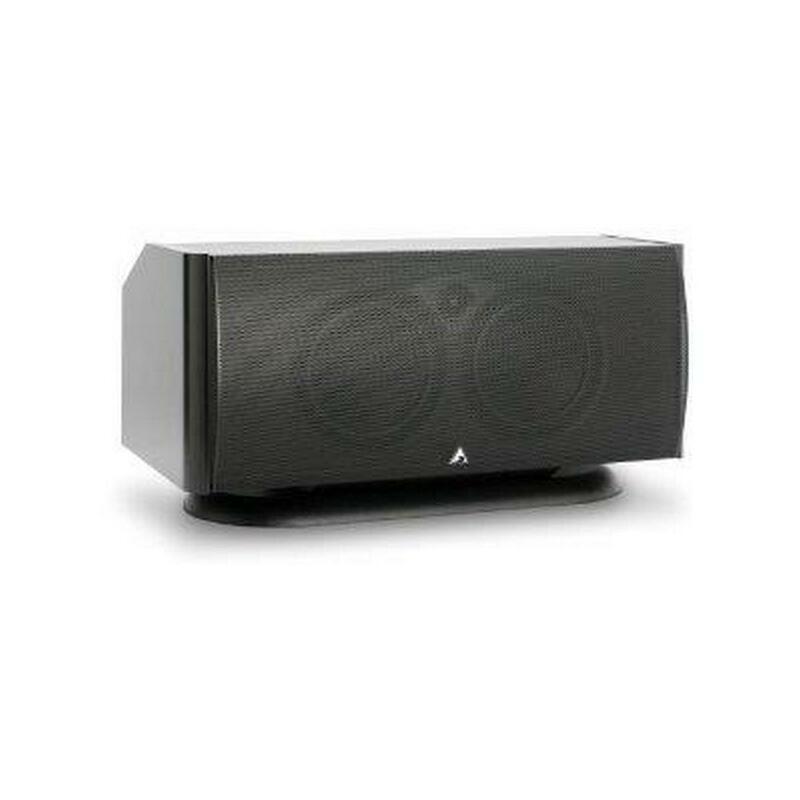 The 2400C features a High Frequency Energy filter to help the speaker adjust to your room’s specific acoustic needs, for high quality sound. 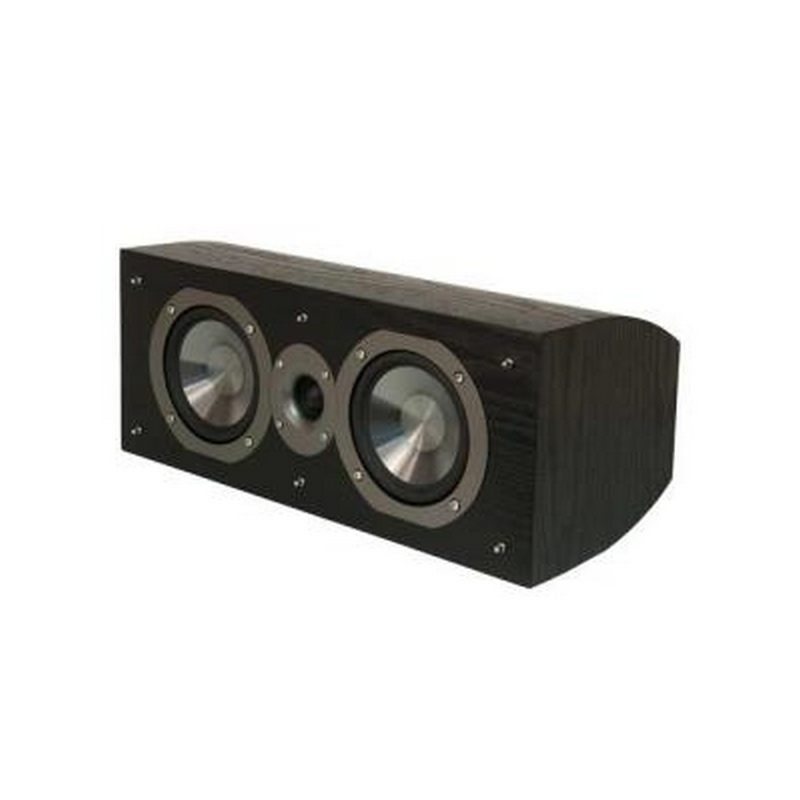 Dimensions w/grilles (W x H x D): 12-1/2" x 7-1/8" x 6-5/8"
The 8200e LR's redefine the high-end speaker category with an unbeatable combination of smooth, accurate sound, sophisticatd style, and unmatched value in a top-of-the-line system. 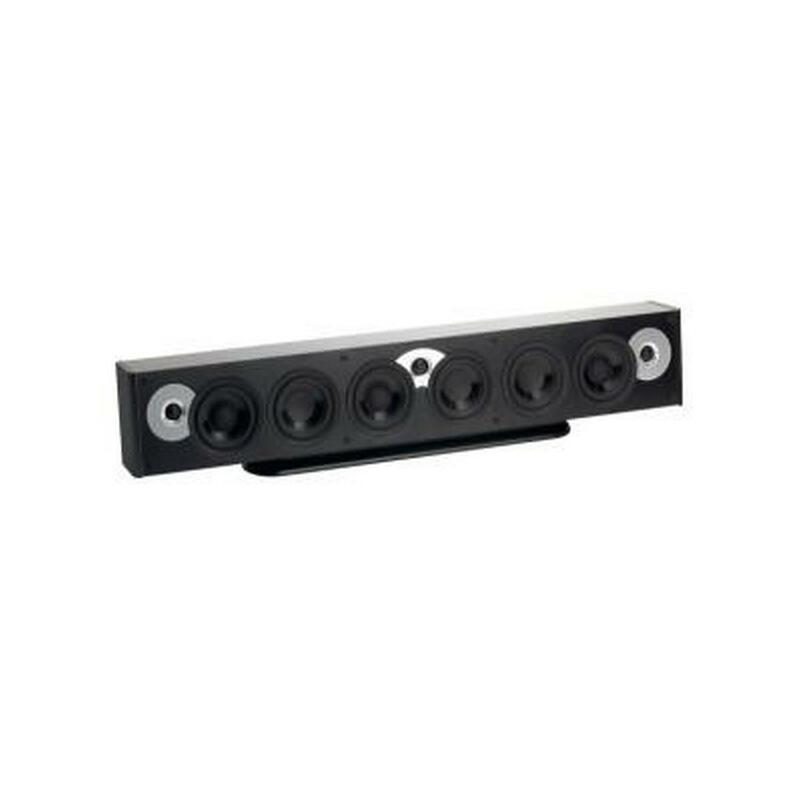 You can enhance the speakers' performance in any room with the onboard optimization switches that minimize the detrimental effects of speaker placement and room acoustics. 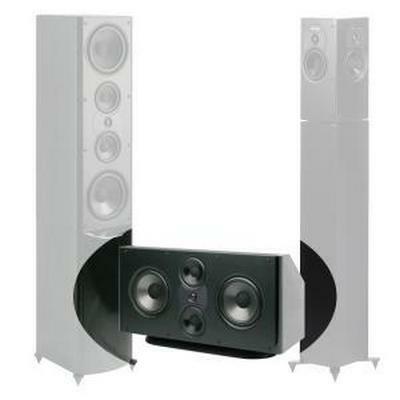 Whether you are listening to Schubert or the Stones, or watching Schwartzenaegger, with the 8200e LR's you'll appreciate the speaker's ability to capture the explosive dynamics of the latest Hollywood blockbuster or the subtle detail in a classic recording. These ultra-high performance satellites can be combined with sand-fillable pedestals to create an impressive floor standing speaker. Or, the satellites can be used alone, installed in custom cabinetry behind an acoustically-transparent panel. 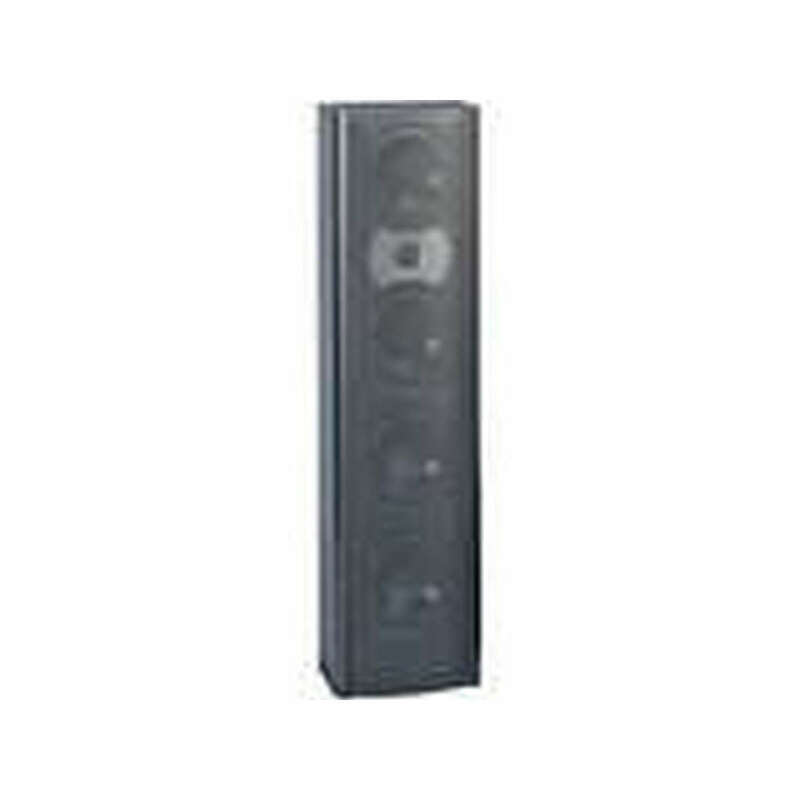 The 8200e LR's can be used in any multi-channel configuration. 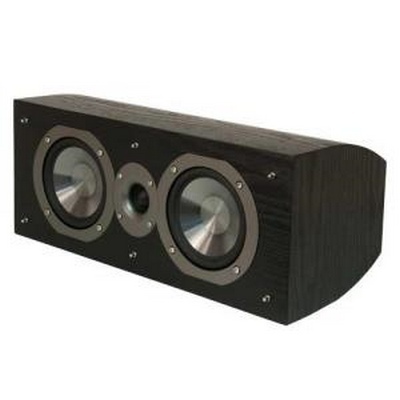 For 7.1 systems, we recommend another set of LR's for the back channels with an additional 642e SB subwoofer. he System 6200e is Atlantic Technology's second highest-priced system, but it's a top-of-the-line system by anyone else's standards. 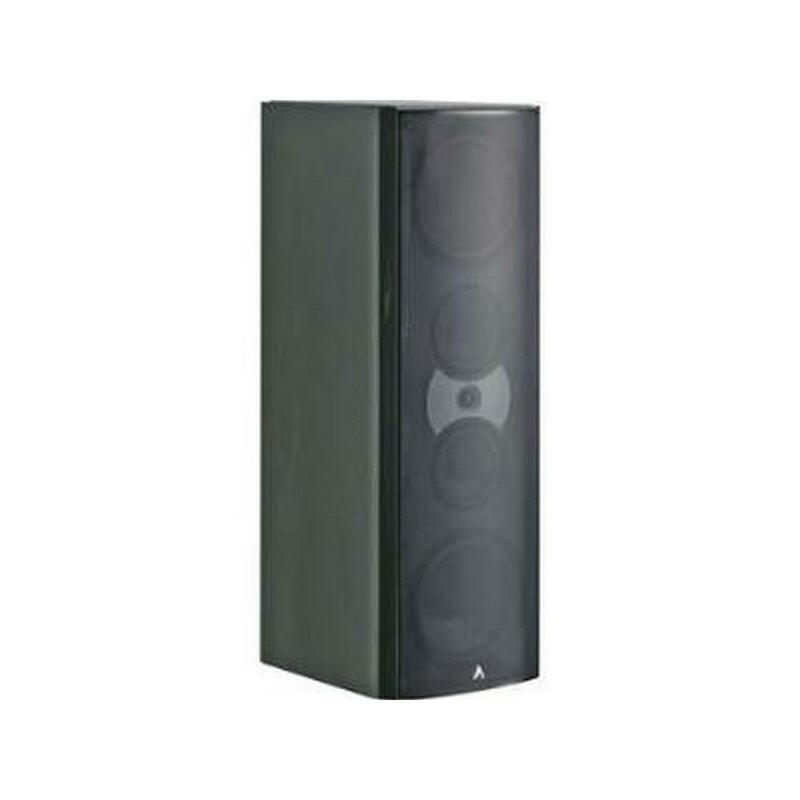 It offers an impressive level of refinement and flexibility, able to deliver its superb sound in a wide variety of real-world settings and acoustic environments. The 6200e LR's have an unbeatable combination of smooth, accurate sound, sophisticated style, and unmatched value in a high-end system. 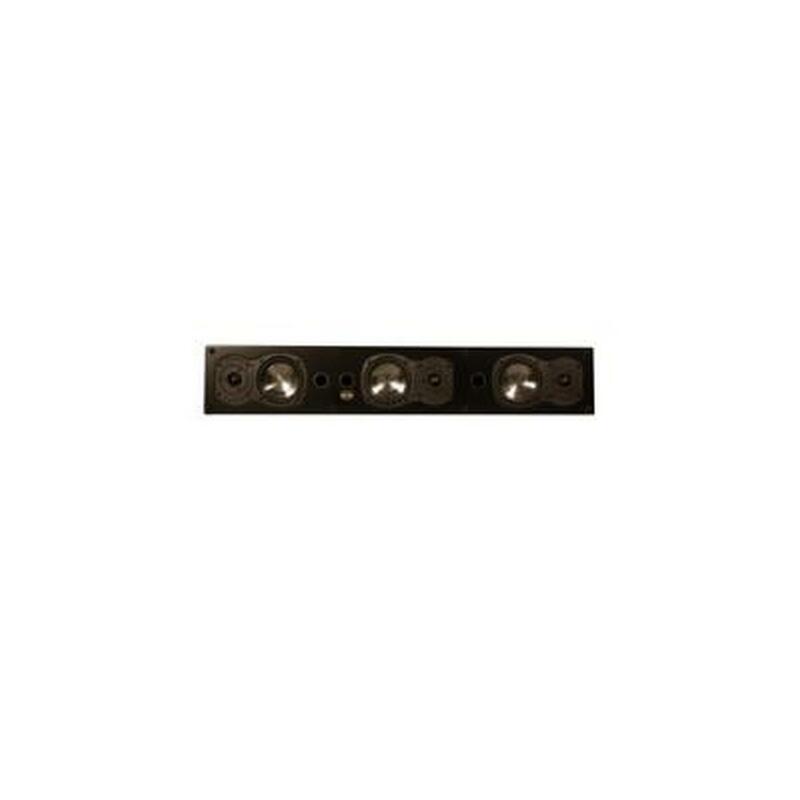 You can enhance the speakers' performance in any room with the onboard optimization switches that minimize the detrimental effects of speaker placement and room acoustics. 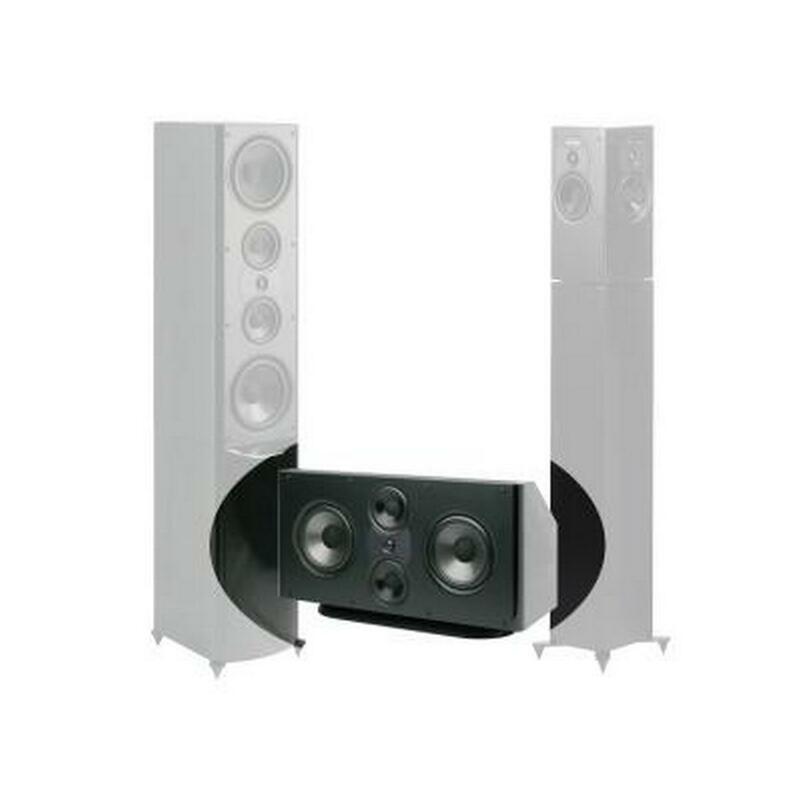 Whether you're listening to Schubert or the Stones, or watching Schwartzenaegger, with the 6200e LR's you'll appreciate the speaker's ability to capture the explosive dynamics of the latest blockbuster or the subtle detail in a classic recording. A 3-position High Frequency Energy switch (changes the tilt of the tweeters response, not simply how loudly the tweeter plays). 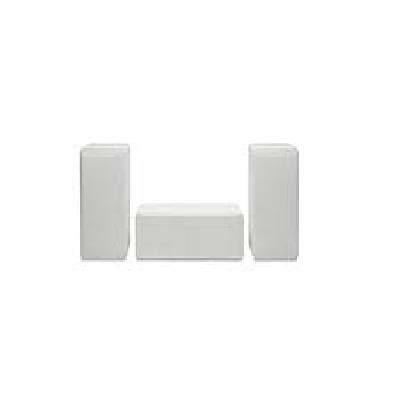 This allows much improved matching of the speaker's response to different room environments. Whether you have an acoustically live (highly reflective) or dead (highly absorptive) room, you can correct for varying acoustics. These ultra-high performance satellites can be combined with sand-fillable pedestals to create an impressive floor standing speaker. Or, the satellites can be used alone, installed in custom cabinetry behind an acoustically-transparent panel. The 6200e LR's can be used in any multi-channel configuration. 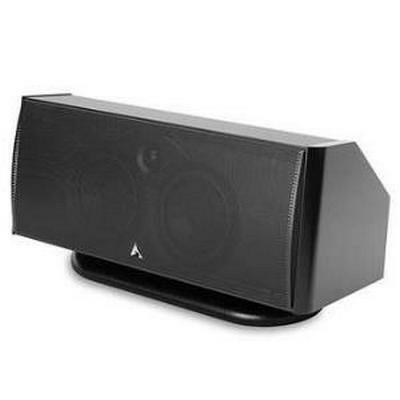 For 7.1 systems, Atlantic Technology recommends another set of LR's for the back channels with an additional 642e SB subwoofer. The cabinet's side panels are finished in a lustrous Satin Black painted finish. 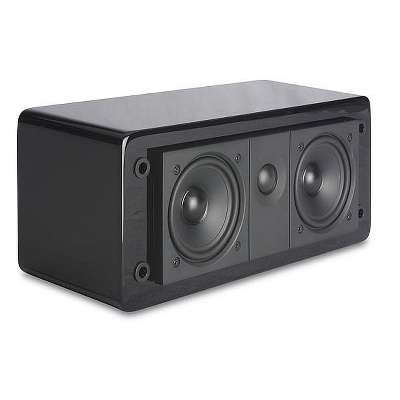 Don't let the small size of these speakers fool you into thinking these are anything other than no-compromise audio devices of the highest caliber! 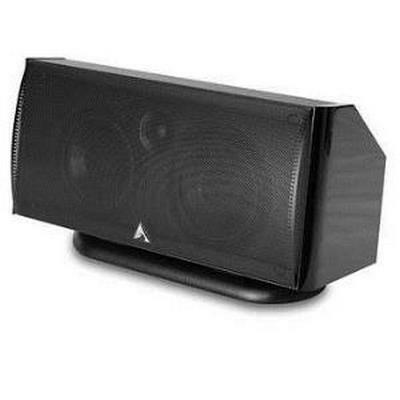 They have two long-excursion 3 ½-inch woofers with CPP (Composite Polypropylene/Paper) cones. This cone material combines the best of two materials—the “quickness” and fast transient response of polypropylene and the inherent self-damping traits of cellulose to eliminate any tendency towards harshness. The tweeter is a ¾-inch silk dome, which exhibits exceptional upper-octave dispersion—far superior to the conventional 1-inch domes found in most other speakers. 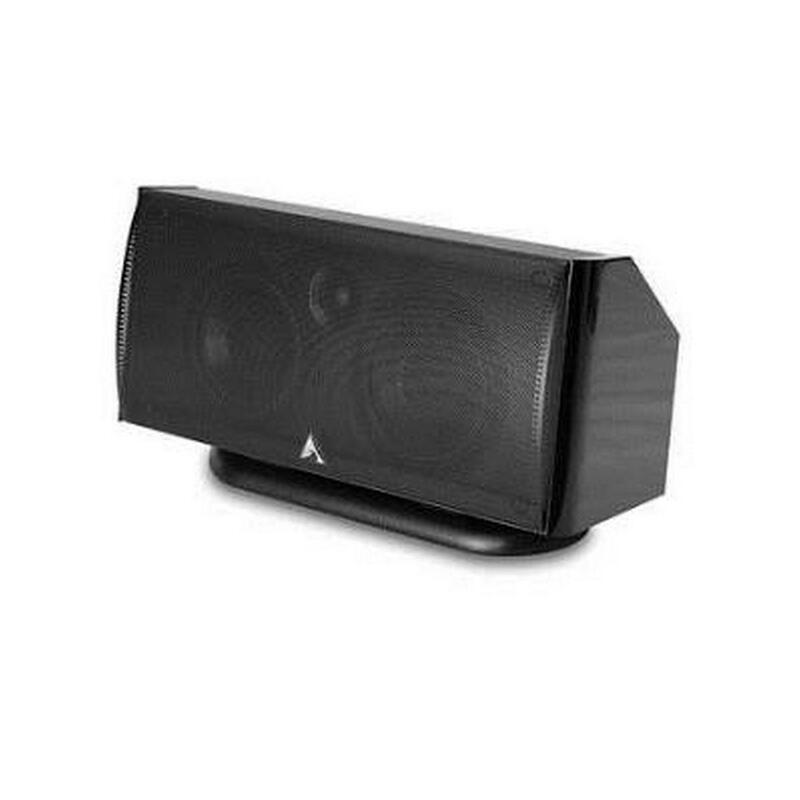 The wide dispersion of the LCR3 imparts a spacious, 3-dimensional character to the sound and it removes the necessity of the listener having to sit right “in line” with the speaker in order to enjoy its best sound.The LCR3’s response extends down to 100Hz, more than deep enough for any accompanying subwoofer to be totally non-localizable. 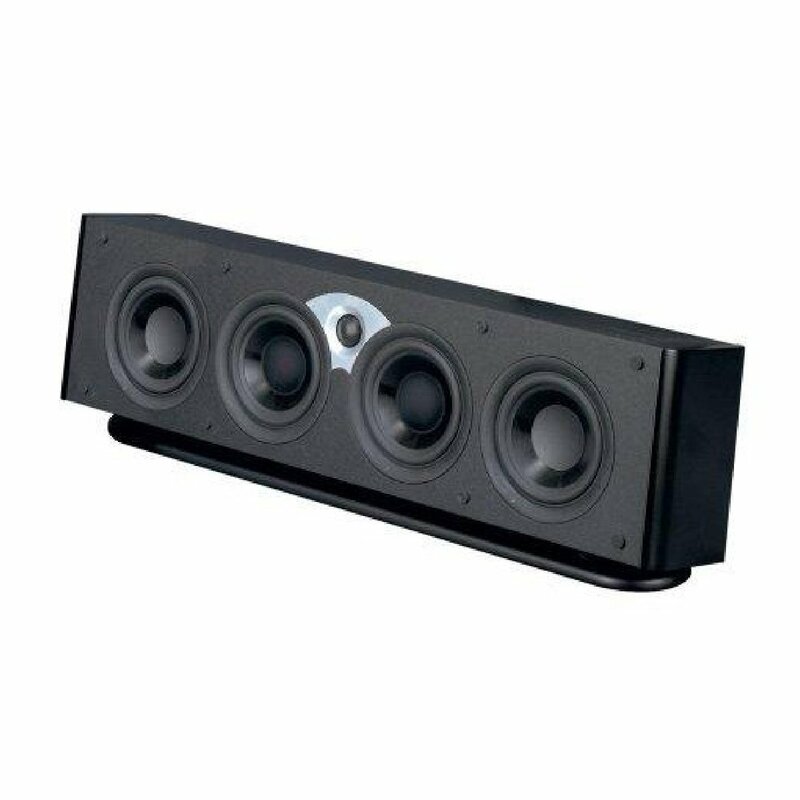 Their slim design and off center M-T-M array make these versatile speakers equally suited for LR satellite, center or surround applications. 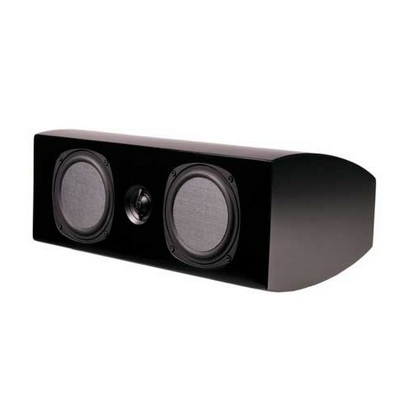 These speakers available in Gloss Black or Gloss White and can be placed on a shelf, stand mounted or wall mounted. 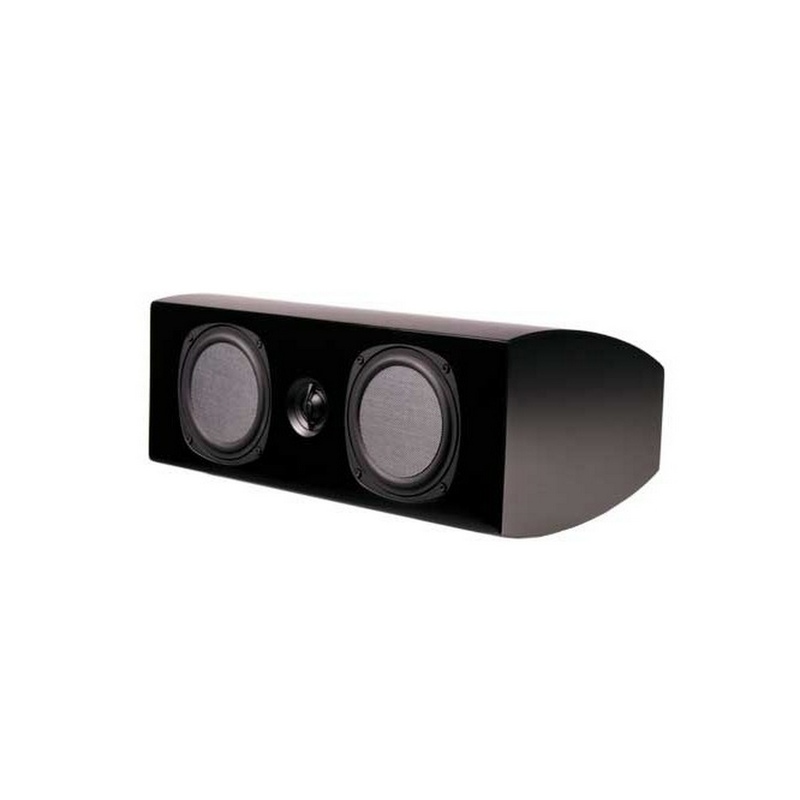 Kef R200CBG Gloss Piano Black Center Channel Speaker.